Because of the increased welcome bonus on the Chase Sapphire Preferred card, I’ve been thinking about ways to use the points to splurge at luxurious Ritz-Carlton hotels. Here I’ll show you ways to get free award nights at beautiful Ritz-Carlton hotels on Caribbean islands including Aruba and St. Thomas. Or in popular destinations in Mexico like Cancun. You can also earn more Ritz-Carlton award stays with other cards like the Chase Marriott Rewards Premier and Chase Ritz-Carlton Rewards card. I’ll show you 5 hotels in the Caribbean and Mexico you can book with Ritz-Carlton points! Points Advance – Book an award stay before you have the points, as long as you earn (or buy) the points to cover the full cost 14 days before check-in. Points Sharing – Share your Ritz-Carlton points with ANY Ritz-Carlton or Marriott member (up to 50,000 points per year). Once per year you can go over the 50,000 point limit right before a specific redemption, only up to the amount needed for a specific stay, rounded to the nearest 1,000 points. Elite Credit for Award Nights – Redeem points for award nights and you’ll stay credits towards Ritz-Carlton elite status. Cash + Points – Use a combination of points and cash to book each night of your stay. Save More Money at Ritz-Carlton Hotels Like The Ritz-Carlton, St. Thomas, With Recent Program Changes Like Points Sharing and Points Advance. And Save Hundreds When You Get the 5th Night Free on an Award Stay! And, you’ll get the 5th night free on any award stay! I like using Hotel Hustle to find hotels for award stays because it shows you how many points you’ll need for your specific travel dates. And it’ll show you if award nights are actually available. I haven’t personally stayed at all these hotels, but they look terrific! Note: The prices in these examples are based on travel in March 2016. I usually use my Chase Ultimate Rewards points to stay at Hyatt hotels. Or to fly internationally on United Airlines and their partners. Because I think you get the most from your points that way. That said, the best use of your Chase Ultimate Rewards points is what makes YOU happy! Note: Some Ritz-Carlton hotels (especially resorts) add pricey resort fees to paid and award nights. Before you book, check the hotel policy to decide if it’s worth it for you. 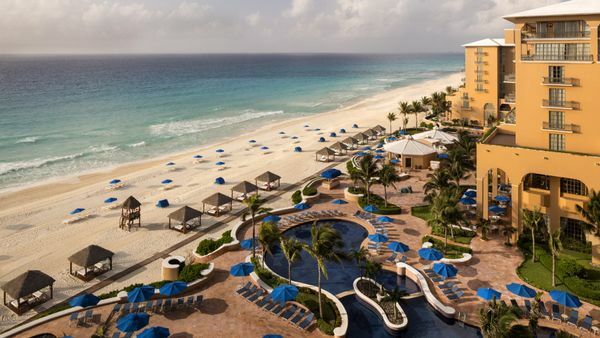 The Ritz-Carlton, Cancun is a Tier 3 Ritz-Carlton hotel with its own strip of beachfront in Cancun’s Hotel Zone. There are 9 restaurants on site serving everything from fine dining to poolside snacks. And in case Mexico isn’t warm enough for you, there are 2 heated outdoor pools. So you’ll have plenty to experience and lots of room to relax! 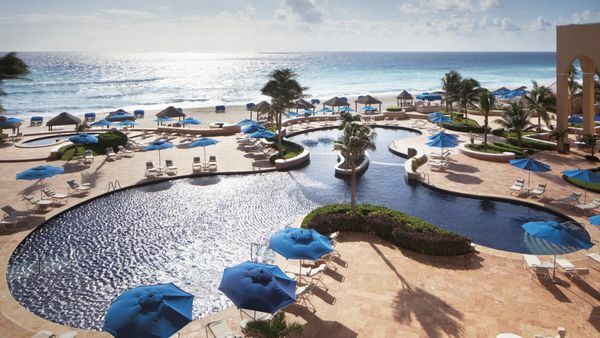 The Bonus on Your Chase Sapphire Preferred Card Is Worth Over $600 for a Night at The Ritz-Carlton, Cancun! Rates here start at ~$630 or 50,000 Ritz-Carlton points per night. Folks on TripAdvisor gave it nearly all 5-star reviews! 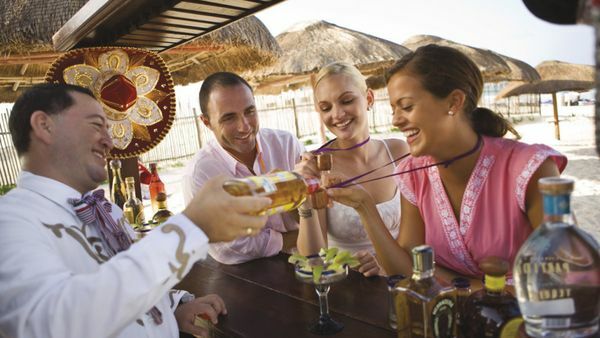 Try Local Tequilas on the Beach! 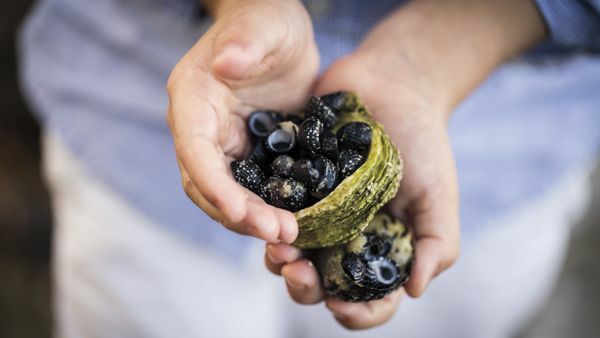 There are lots of interesting activities at this hotel, like the annual baby turtle release, which is a great learning experience for both children and adults. And you can visit MUSA (at nearby Isla Mujeres), the largest underwater museum in the world with over 500 life-sized sculptures you have to dive to experience! Emily just got her scuba-diving certification – she could put it to great use at this hotel! Update: Thanks to Million Mile Secrets reader Peter for pointing out the Ritz-Carlton, Aruba adds a 14% resort fee to paid and award nights. This could add hundreds of dollars to your stay, so do the math and do what makes sense for you. 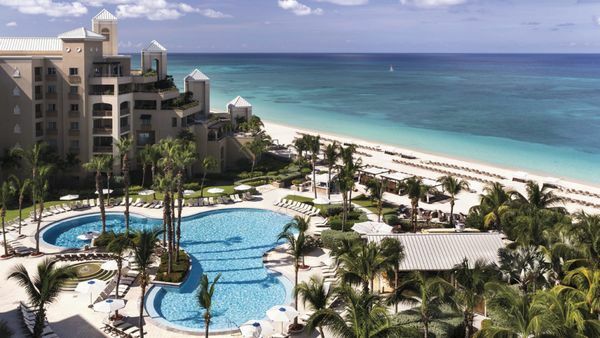 The Ritz-Carlton, Aruba, is a 5-star hotel with white-sand beaches on the Caribbean Sea. It’s a ~10-minute drive from the capital Oranjestad, where you can explore shops, cafes, and Dutch colonial architecture. And there’s a casino within the hotel if Lady Luck is on your side! Folks on TripAdvisor have great things to say about the staff and service here. When I checked, nights here cost ~$1,101, or 60,000 Ritz-Carlton points. 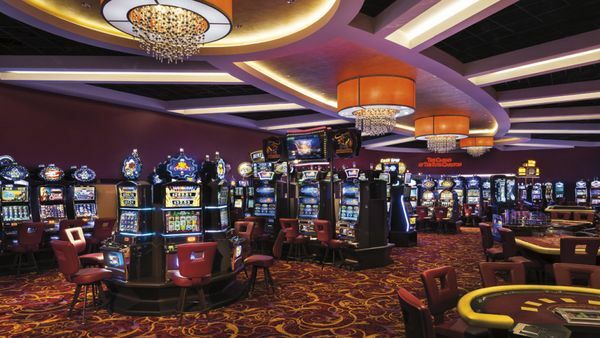 Will You Win Big in Aruba? Roll the Dice at the In-House Casino to Find Out! Remember, you’ll earn at least 4,000 Chase Ultimate Rewards points from meeting the minimum spending requirements on the Chase Sapphire Preferred card. And you can earn 5,000 more Chase Ultimate Rewards points if you add an authorized user who makes a purchase within the 1st 3 months. 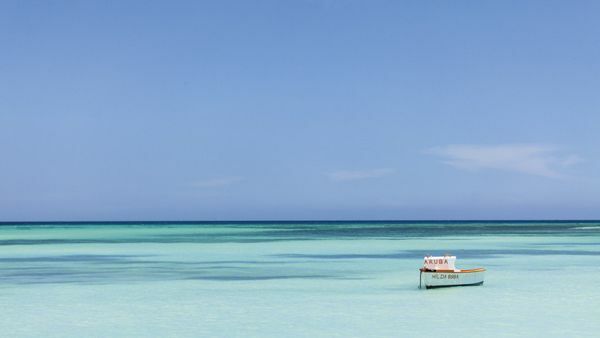 That adds up to 59,000 Chase Ultimate Rewards points, which is nearly enough to splurge on a romantic getaway in Aruba! The Ritz-Carlton, Grand Cayman is located on Seven Mile Beach and only ~10 minutes from the airport. So you can fly down and start relaxing quickly! Folks on TripAdvisor report difficulty leaving this hotel because they like it so much! Nights here cost ~$1,176 or 70,000 Ritz-Carlton points. Remember, you’ll earn 2X Chase Ultimate Rewards points on travel and dining with the Chase Sapphire Preferred card, which will help you earn the points you’ll need for a night here. If You Shop Online, Don’t Leave Bonus Points on the Table! Earn More Chase Ultimate Rewards Points at the Shop Through Chase Website! And 1 easy trick to earn more Chase Ultimate Rewards points is to begin your online shopping through a shopping portal. Chase has a portal called Shop Through Chase where you can earn points on everyday purchases and start relaxing in Grand Cayman faster! This hotel costs ~$785 or 60,000 Ritz-Carlton points per night. Again, you’ll have 54,000 Chase Ultimate Rewards points after you meet the minimum spending requirements on the Chase Sapphire Preferred card, which is nearly enough for a night here! 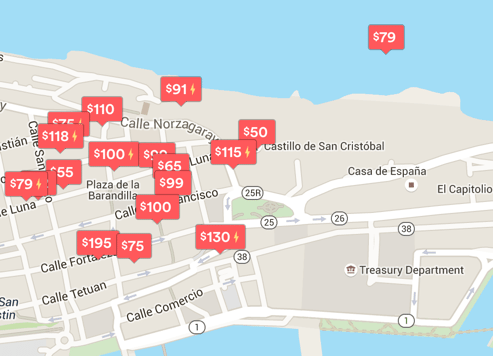 And if you want to extend your stay in San Juan, you can mix-and-match paid and award nights with Airbnb. Airbnb Has Lots of Places You Can Stay for ~$100 a Night! 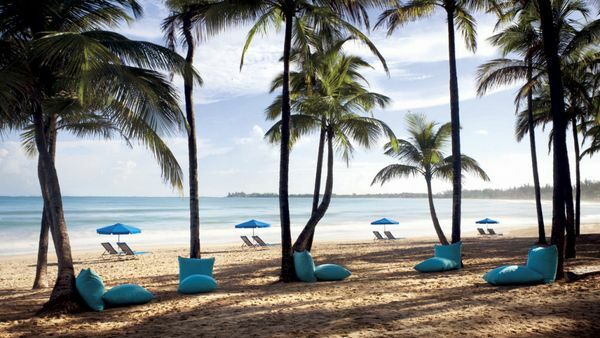 So You Can Enjoy a Luxurious Stay at a Ritz-Carlton Hotel, and Then Stay Longer to Explore Old San Juan! I found lots of great options walking distance to the Atlantic Ocean for ~$100 a night! Here are my tips on how to find a good and safe Airbnb. 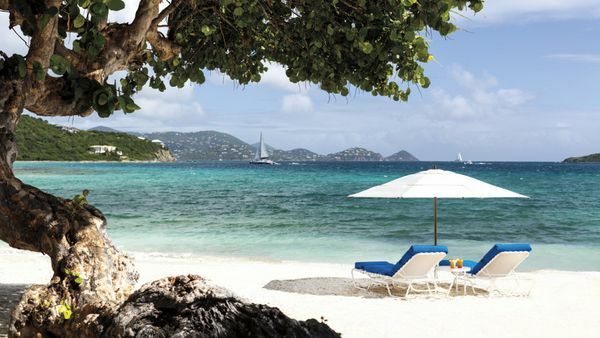 The Ritz-Carlton, St. Thomas is in the US Virgin Islands, so again, you won’t need a passport. The hotel grounds are 30 acres, and the scenery is outstanding. If you love the ocean, you can spend your day swimming, snorkeling, or sailing in Great Bay near the hotel. Nights here cost ~$919 or 70,000 Ritz-Carlton points. There are plenty of fun activities in the area, like Coral World Ocean Park, and a butterfly farm! You can also explore Virgin Islands National Park to learn more about the history of the island or hike to scenic overlooks! You can transfer Chase Ultimate Rewards points to Ritz-Carlton instantly at a 1:1 ratio if you have the Chase Sapphire Preferred, Chase Ink Plus, or (no longer offered) Chase Ink Bold cards. If you have the Chase Freedom or Chase Ink Cash cards you can combine your points and transfer to Ritz-Carlton as long as you have 1 of the other cards! 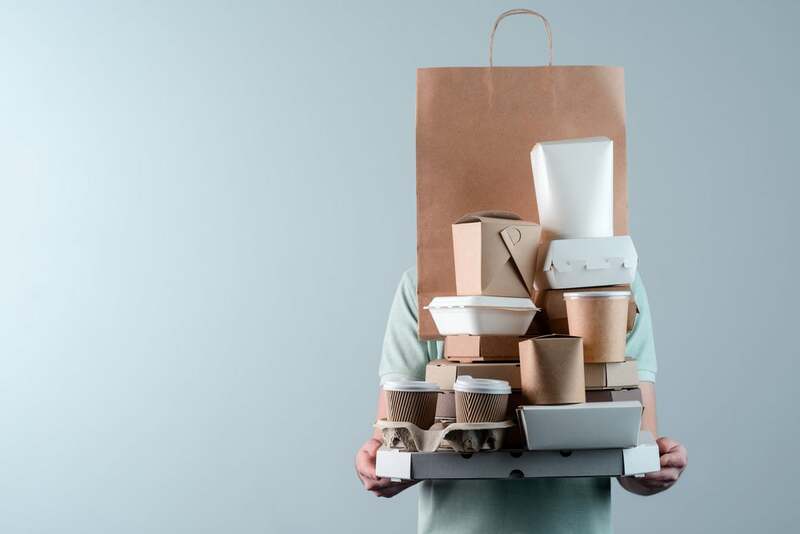 Earn 2X Chase Ultimate Rewards Points on Travel and Dining During Your Travels. 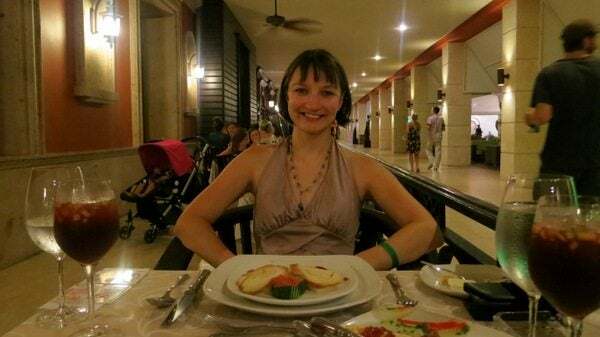 Emily Loved Her Trip to the Caribbean, Where She Visited the Dominican Republic! This is great for folks who want to apply for the Chase Sapphire Preferred card. That’s because you’ll earn 50,000 Ultimate Rewards points after spending $4,000 on purchases within the 1st 3 months of opening your account. Then splurge for a special occasion at a Ritz-Carlton hotel! Remember, Chase has gotten more selective with their approvals if you’ve opened more than ~5 cards within the past 24 months. So if you’re interested, make sure to get this card first! Earn 5X Chase Ultimate Rewards Points With the Chase Freedom on Gas January 1 Through March 31, 2016, When You Activate the Bonus! And the Chase Freedom card has rotating quarterly categories that earn 5X Chase Ultimate Rewards points when you activate the bonus. 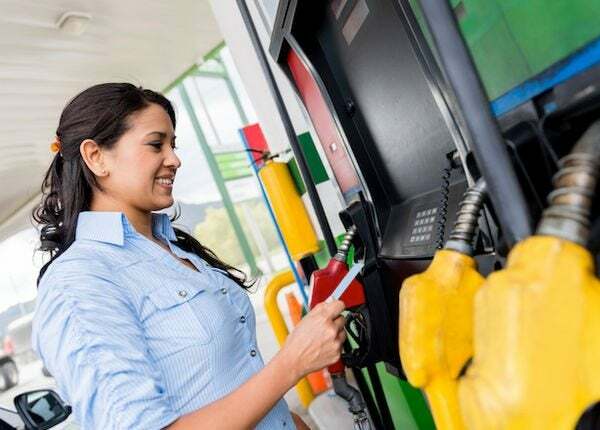 The Freedom card also has an increased sign-up bonus of $150 (15,000 Chase Ultimate Rewards points) after spending $500 on purchases within the 1st 3 months of opening your account, and NO annual fee! Now is a good time to open a card that earns Chase Ultimate Rewards points, which is my favorite points program and the #1 card I recommend to miles and points beginners. Ritz-Carlton and Marriott are essentially the same frequent-guest program (just with different branding and marketing), so you can use your Ritz-Carlton points to stay at Marriott hotels and vice versa. The current sign-up offer for the Chase Marriott Rewards Premier card is 50,000 Marriott points after spending $3,000 on purchases within the 1st 3 months of account opening. The $85 annual fee is waived the 1st year, plus you’ll receive a $200 Marriott gift certificate after meeting the minimum spending requirements. Here’s my review of the card. There’s another offer on the Chase Marriott Rewards Premier card to earn 80,000 Marriott points, which is enough for 2 nights at a Tier 2 Ritz-Carlton hotel, but the $85 annual fee is NOT waived, though the minimum spending requirements are the same. You could also pick up the Chase Ritz-Carlton Rewards card. You’ll earn 2 free nights at any Tier 1 to 4 Ritz-Carlton hotel, after you spend $4,000 on purchases in the 1st 3 months of opening your account. The $395 annual fee is NOT waived, but it comes with perks and benefits that can easily make up for it, like a $300 annual travel credit for seat upgrades, airline fees, or other travel incidentals. Get 2 Free Nights at a Ritz-Carlton Tier 4 Hotel, Like The Ritz-Carlton, Aruba, With the Chase Ritz-Carlton Rewards Card and Save Over $2,000! If you like Ritz-Carlton hotels, it’s a card worth having. Here’s my review. Get award stays at outstanding Ritz-Carlton hotels in the Caribbean and Mexico like The Ritz-Carlton, Aruba or The Ritz-Carlton, St. Thomas. Because you can transfer Chase Ultimate Rewards points to Ritz-Carlton. These hotels are perfect for a romantic vacation or an occasion you want to remember! You’ll earn 50,000 Ultimate Rewards points after spending $4,000 on purchases within the 1st 3 months of opening a new Chase Sapphire Preferred card, which you can transfer directly to Ritz-Carlton at a 1:1 ratio. Remember, Marriott and Ritz-Carlton have similar loyalty programs, and you can book Ritz-Carlton stays with Marriott points (and vice versa). Earn 50,000 Marriott points and a $200 Marriott gift card with the Chase Marriott Rewards Premier card after spending $3,000 on purchases within the 1st 3 months of account opening. Or earn 80,000 Marriott points with a different offer on the same card but with the same minimum spending requirements and book award stays at Marriott or Ritz-Carlton hotels. You can also earn 2 free nights at any Tier 1 to 4 Ritz-Carlton hotel with the Chase Ritz-Carlton Rewards card after you spend $4,000 on purchases in the 1st 3 months of opening your account. Depending on the hotel you choose, you can save over $2,000 with this offer! Let me know which of these hotels is your favorite! 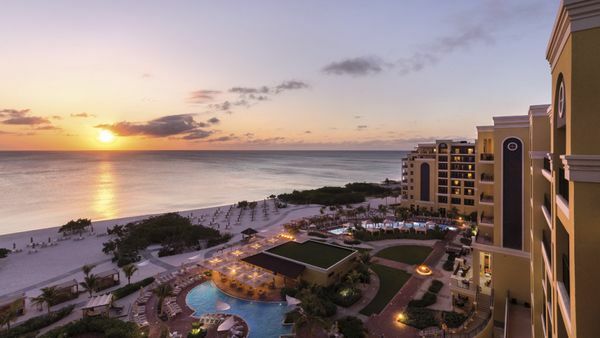 The Ritz Carlton Aruba’s 14% fee does not apply to points bookings. I recently booked 7 days with them and had both the Marriott phone rep, reservation email, and an email from the Aruba front desk confirm that. 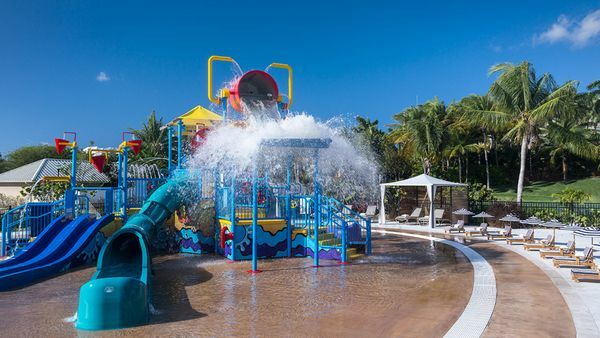 The same 7 days at the Ritz Grand Cayman is $525 in fees. The only caveat is to reserve in advance. It can be hard to get the right 7 day window especially around spring break time. We also looked at the Ritzes in Cancun (looked too isolated), Grand Cayman (more expensive resort fee but great ratings!! ), Dorado (is not fully “Marriott” and does not take points), San Juan (too urban for what we wanted) and St. Thomas (which was fully booked and also had a resort fee daily). So on pure points bookings Aruba really works by the % rather than $ per day charge. Telling people to use UR points to book ritz stays is horrible. They would be better paying for the rooms and using the UR points as a cash back towards them. They would be better off getting the ritz card for 2 free nights or the points from the marriott card. Not sure why the UR cards are even brought up except for referral purposes.